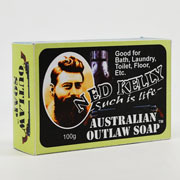 Ned Kelly/Outlaw Soap. Humourous packaging. 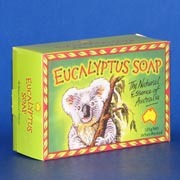 Eucalyptus essential oil in this soap is known to have anti-fungal and disinfectant properties. 100g. Boxed. Australian made. 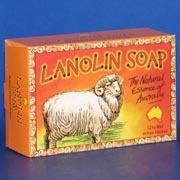 Lanolin soap makes a great moisturizer for your entire body. 100g. Boxed. 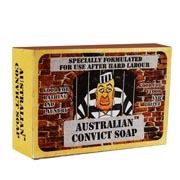 Australian made. 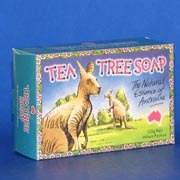 Tea Tree soap is antibacterial and ideal for problem skin. 100g. Boxed. Australian made.